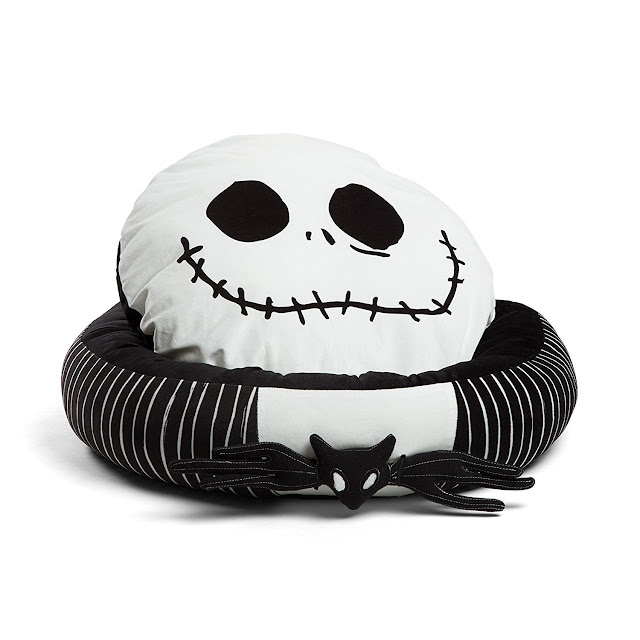 How cool is this Jack Skellington plush dog bed? Too bad my 70 pound retrievers wouldn't likely fit well on it! I find it hilarious that Jack's bow tie doubles as a squeaker toy! 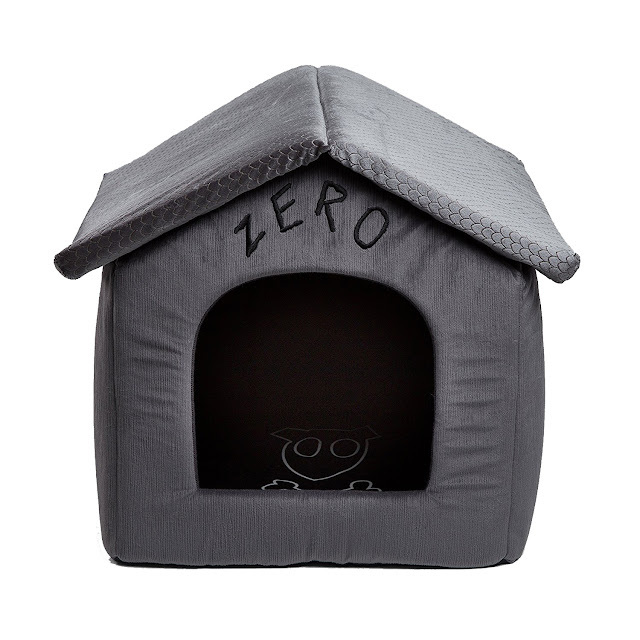 Your dog can have their very own "Zero" doghouse. It's totally ok if your dog's name isn't Zero, too! 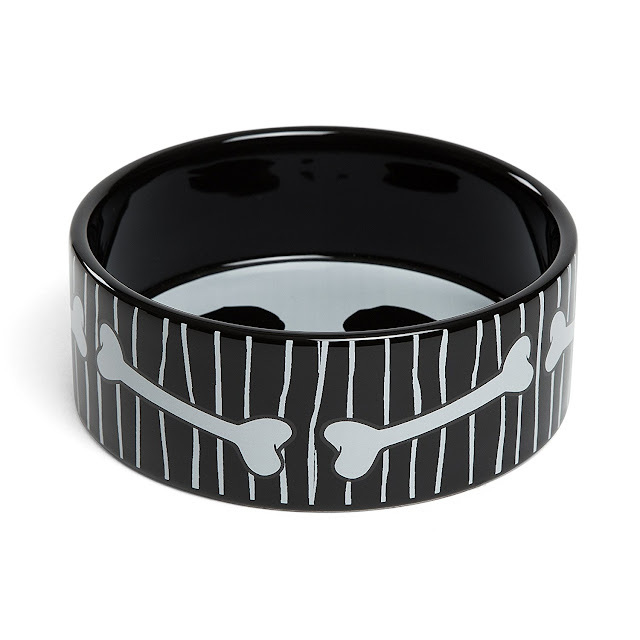 Your dog can eat and drink out of a Jack Skellington dog bowl. 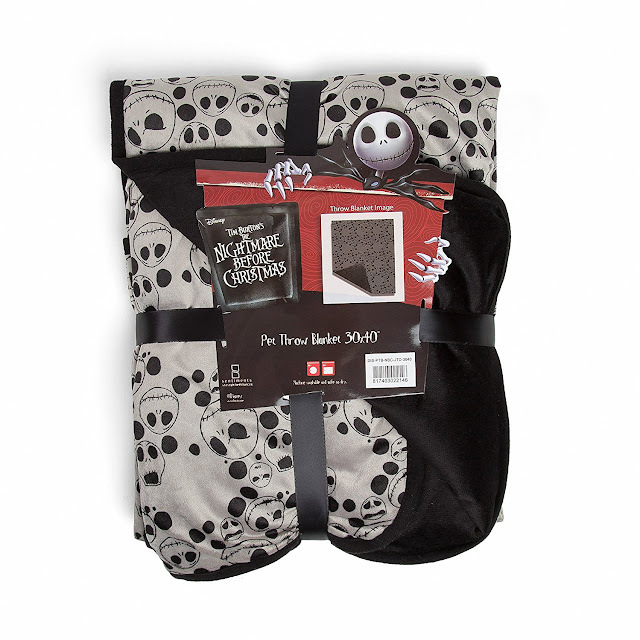 And if your pet gets cold, they can snuggle up in a Jack Skellington throw blanket specially made with pets in mind! 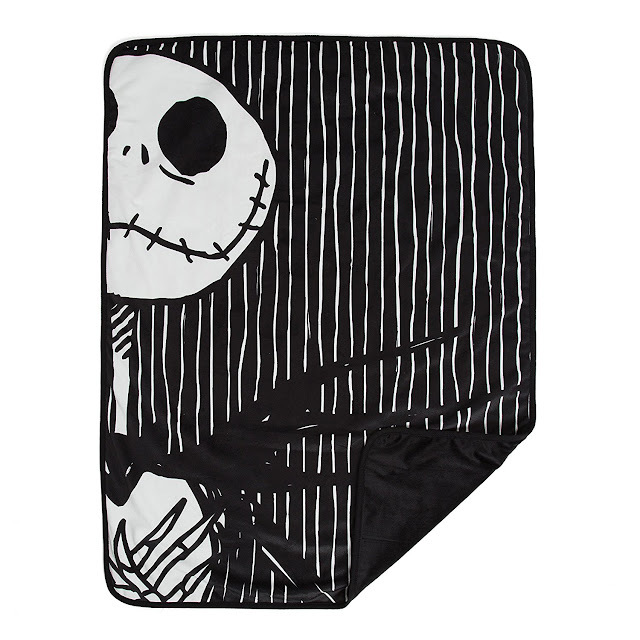 I prefer the look of this Jack pet throw. It can also be used as a cat mat. 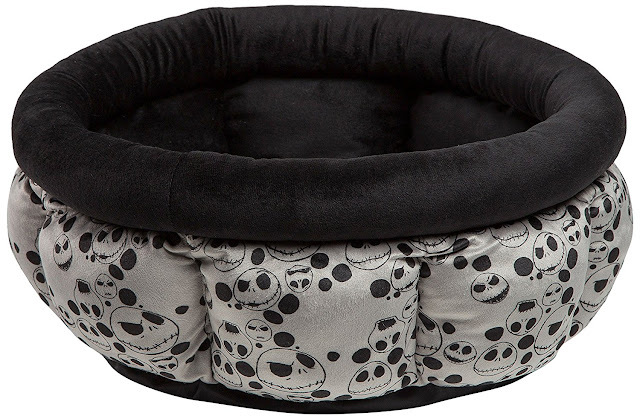 For cats or small dogs, here's a Jack Skellington Cuddle Cup pet bed. 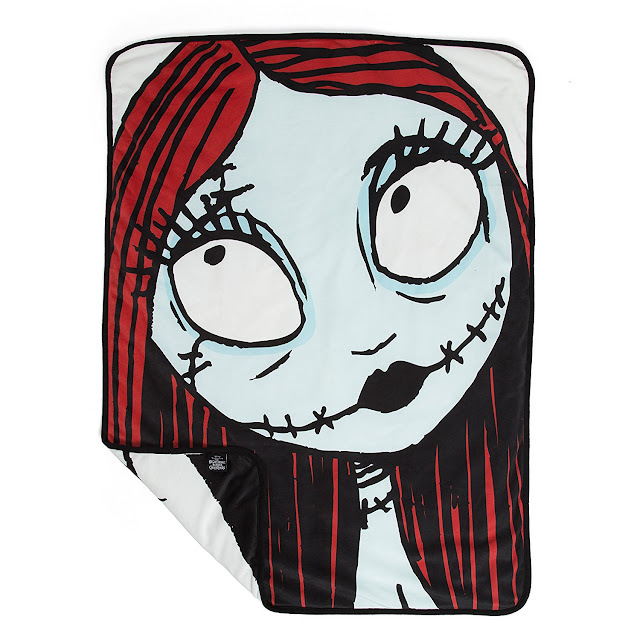 Or is Sally your favorite? 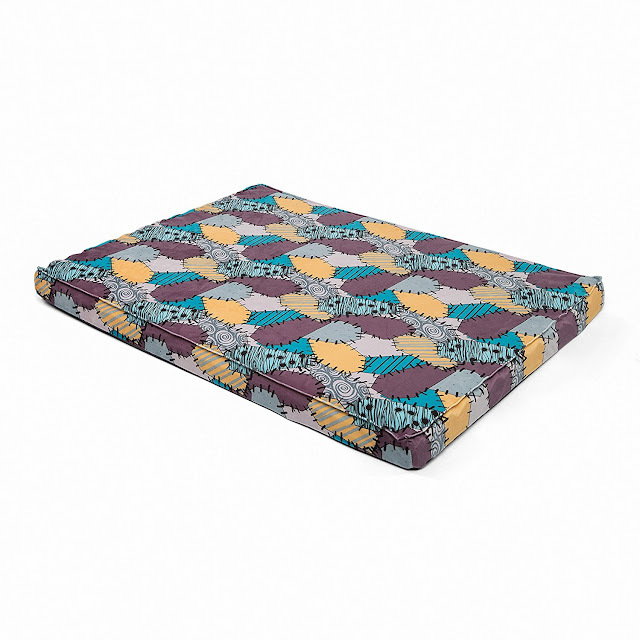 Here's a Sally pet bolster bed. 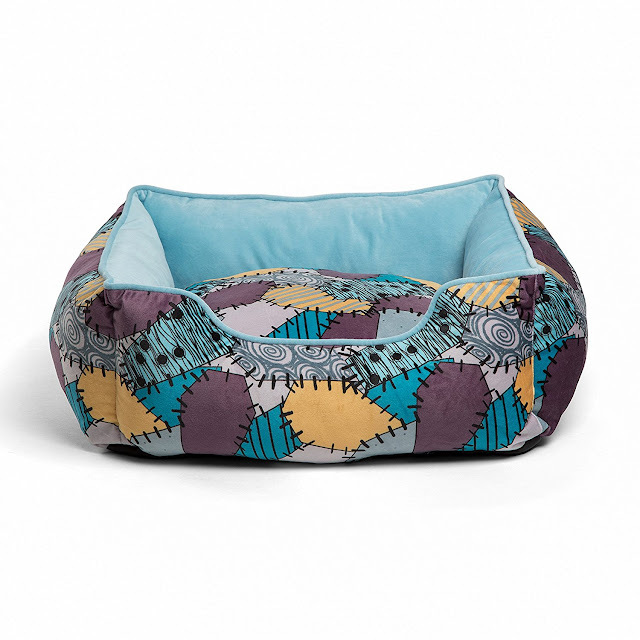 Older dogs might benefit more from a Sally-themed orthopedic pet bed. Here's a pet throw blanket featuring Sally's beautiful face. It can also be used as a cat mat. All of these cute things are making me want to get a cat! Visit Goth Shopaholic on Facebook for more gothy finds!